If you’re just picking up this post, you may have missed the story from Part 1 about my recent patient (Patient 1) who presented with a concussion. I discussed how without my recognition of his symptoms, he may have been misdiagnosed and/or mismanaged. Mirror this case with another case of a high school athlete (Patient 2) I was treating at the exact same time of Patient 1. Patient 2 sustained a head injury when falling backward onto her head during a home plate collision during a softball game. Her father, a pediatric physician assistant, was on the scene and immediately recognized signs of a concussion. She was monitored and taken to a local emergency department. She followed up within a day or so with a pediatric primary care sports medicine physician, who recommended cognitive rest, a modified school schedule and program, and prompt referral to physical therapy. Within 3 days she was in my office with similar signs and symptoms of the other athlete mentioned before. We performed several specialized manual therapy techniques to her spine, neck, and head to address the physical ailments from whiplash associated with a head injury. She performed gaze retraining and stabilization exercises to assist with convergence and visual tracking. These are skills necessary for reading, viewing the environment, and sports participation. We also utilized Redcord Neurac, a suspension-based neuromuscular re-education system to help restore her balance and stability. She followed a personalized stepwise progression back to school and softball. And yes, like every good overachieving and motivated athlete out there, she overdid it. I warned her on her first visit that her symptoms would clear long before she was ready to return to sports. True to form, she felt better and decided to exercise—something like simple jogging and softball throwing. She reported a severe headache the next day and she was unable to fully participate in school. This is common in concussion recovery, and it is paramount that athletes be monitored as they gradually return to their sports. It’s also important they be encouraged not to overdo it. The good news is that she learned her lesson and followed the rules. Soon enough, she was back in the classroom and the field. In her case, she was in the right place at the right time when she was injured. Her dad knew what to do. She got to the right physician, who just-so-happened to be a pediatric sports specialist and affiliated with her school. Her physician had previously set up a concussion monitoring and management program with the school and athletic program for all students, not just athletes. Importantly, he referred her to physical therapy within a week of her injury. It was the ideal situation. 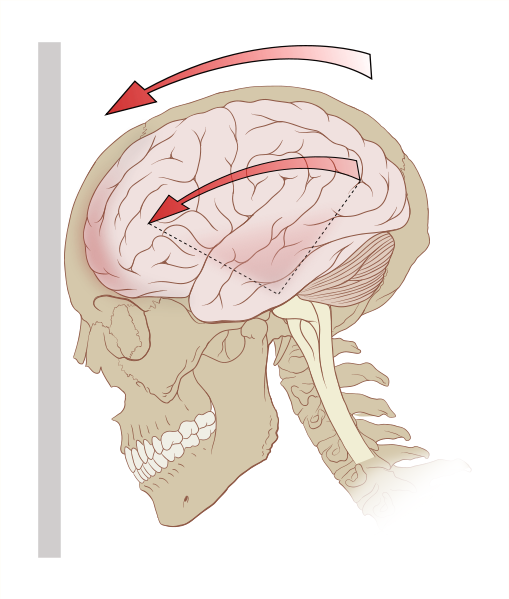 Ironically, one week before encountering these two patients, I had just had an interesting conversation with my PT colleague who posted this informative blog post about her 8-year-old son’s concussion. She was less aware of the role that sports medicine and neurologically-trained physical therapists play in concussion assessment and rehabilitation. As with any other injury that keeps a person from participating in their activities of daily living and sports, specialized physical therapists are trained to rehabilitate and safely monitor patients as they return to activities following concussion. According to a 2012 position statement released by the American Physical Therapy Association House of Delegates, physical therapists trained specifically in sports medicine, vestibular rehabilitation, and/or neurologic rehabilitation can play a key role in evaluating and treating the movement impairments, functional limitations, and participation restrictions associated with concussion and mild traumatic brain injury. 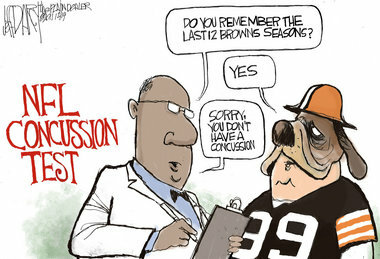 Concussion is not only a hot topic on my recent caseload, but it is also running rampant everywhere else. Recently another PT colleague told me of a conversation she overheard at her daughter’s competitive cheerleading gym. Evidently on one girl’s high school cheerleading squad, 4 girls were recently out of commission due to concussions. Just as participation of females in sports has increased, concussions in female athletes are also a growing issue. 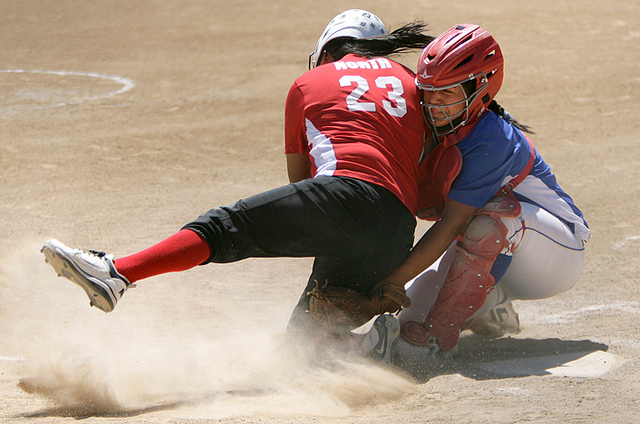 Many people may think of male-dominated contact sports such as football, baseball and lacrosse as the most common denominators for head injury and concussion. You may be surprised to know that some statistics show that cheerleading and women’s soccer are resulting in more concussions than other male contact sports. A 2012 position statement by the American Medical Society for Sports Medicine found that in sports with similar rules, female athletes sustain more injuries than their male counterparts. Females experiencing concussion also report higher number and severity of concussion symptoms as well as longer duration of recovery from concussion. Read here about concussions in competitive cheerleading and here about a 9-year-old softball player who made a full recovery. Visit pinkconcussions.com, the first-ever dedicated online site to education and information on concussions specific to female athletes. 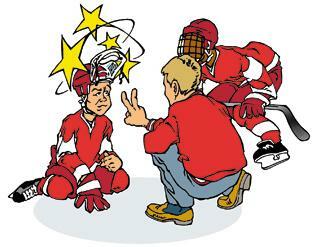 Concussions are not just happening in youth sports, but they’re also becoming famous, too. Much controversy surrounds Major League Baseball’s new rules to ban home plate collisions for several reasons, some of which were due to repercussions of injuries sustained by players. 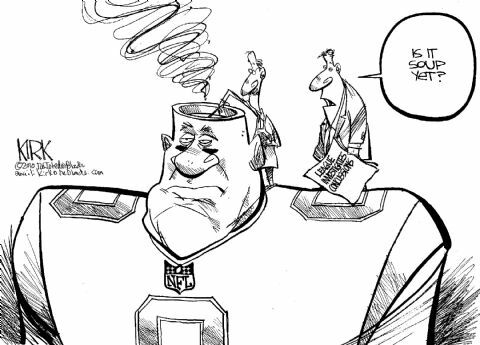 The current news is filled with the story the landmark settlement between the National Football League and 4500 former players claiming the NFL’s responsibility in the long-term health deficits of the players who sustained concussions while playing. There’s also the story of the college football player whose coaches ignored his symptom complaints and pushed him to continue to play. Sadly, that player eventually died. On the youth level, it may not be on the front page of ESPN, but it’s just as much of a big deal. 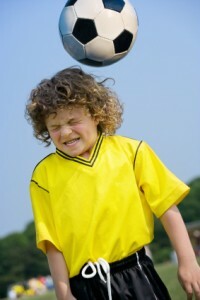 As of January 11, 2014, all 50 states have enacted legislation mandating some form of concussion “reform” in school and recreational sports leagues. In Georgia State Law, the Return to Play Act was passed in April 2013 and enacted on January 1, 2014. This mandates that all teams and leagues must provide concussion education to parents and coaches, recommend baseline concussion testing, hold athletes from play until cleared by a healthcare professional. In 2008, the state of Washington passed the Zackary Lystedt Law, named for a second impact syndrome survivor who was permanently disabled after returning to sports too prematurely following concussion. Unfortunately, the sad thing is that these injuries have required state and federal action to bring everyone onto the same page on this important issue. Let’s be honest, even with the laws, “Everyone” and “on the same page” are probably generous phrases. But, it’s a start. We have a long way to go, but judging by how much my twitter feed has blown up with this topic in the last few months, I’d say that we are really getting the word out there. It’s not just a problem for kids. It’s a problem for everyone. So—even for you grown-ups out there, the next time you get your “bell rung” (by the way, please don’t use that term) or you just feel a little “fuzzy” after you bang your head on the open cabinet in the kitchen for the 80th time (don’t you just hate it when you do that? )…please put down your computer, your phone, cancel that workout or meeting tomorrow, and consider the long term effects such an injury may have on you. If you’re an athlete-please tell someone you feel bad. It’s common, but not normal, to feel the way you do after your injury. You’ll get back to your sport faster if you do. No game, school exam, or competition is worth the risk of pushing it too far. No! Don’t say that! He just might believe you, and then I’ll be out of a job! Just as the number of kids participating in organized sports is estimated to grow to between 30 and 40 million in the next decade in the United States, so will the number of injuries. [i] Kids are specializing early in sports, leading to more injuries and problems as they board the bullet train toward adulthood. While on this train, they need specialized, age-appropriate training to ensure safety as they move along the normal cognitive, motor, and emotional developmental train tracks into adulthood. [ii] The problem is that sports participation at earlier ages is skyrocketing, and subsequently, so are injuries. That’s me at age 9. I remember making my first regional championship qualifying time at this meet and a coach saying to my mom and me “Good news! She can travel to championship meets now!” It was at this age that I decided to quit all other sports and activities and focus on swimming. Many people blame the media for these problems. They believe that it has influenced parents to believe their kid will be the next Tim Tebow or Kobe Bryant. They believe their kid will undoubtedly be in that top 1% to receive a college scholarship to a Division 1 school of their choice or join a professional sports league. There is the idea that this belief drives parents to push their kids, or kids to push themselves, beyond their physical and mental limits, inevitably leading to injury or burnout. I’m not going to say that these cases aren’t out there, nor that I haven’t seen them. I have. Every day. Usually I want to give some of these parents a good all-star teenage eye roll when they swear to me that their 7th grader will definitely get a full ride to play basketball with the best basketball program. These kids don’t get the right age-appropriate training and often begin advanced skills before their bodies are physiologically capable of doing them correctly. Photo credit: Myer, Lloyd, Brent & Faigenbaum (2013). Kids’ “training age” must be considered when they specialize in sports and try new skills. 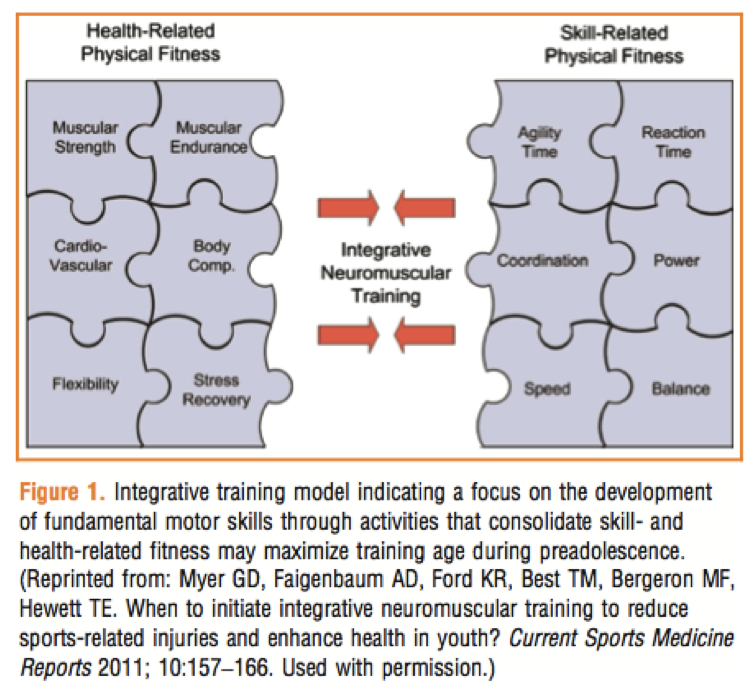 Training age includes all of the above factors. Many of these processes are not fully developed until late adolescence or even early adulthood. Challenging the functional capacity of these processes before they’re ready can lead to injury. Without proper integrated training, the body takes the path of least resistance to perform a skill. I call this “cheating without knowing you’re cheating.” This eventually leads to breakdown and injury. Too much breakdown and injury without adequate rest can cause kids to burn out early. They may develop chronic physical or mental impairments that just won’t seem to get better. This gives them an “out” from their sports that is easier to swallow than feeling as if they’ve failed a parent or grown-up’s dreams for them. These patients are becoming an epidemic those of us who dare to work in this precipitous youth sports environment. See this reference about how to judge when play is too much. That’s not to say that I haven’t encountered some elite pre-collegiate or pre-professional athletes who do, indeed, make it into the next level. Surprisingly, those patients and parents are often the most realistic in their expectations. Having been there myself, I don’t ever recall my parents or any of my swim friends’ parents having the “my-kid-is-the-next-Michael-Phelps” attitude, even though we were all undoubtedly going to swim in college. 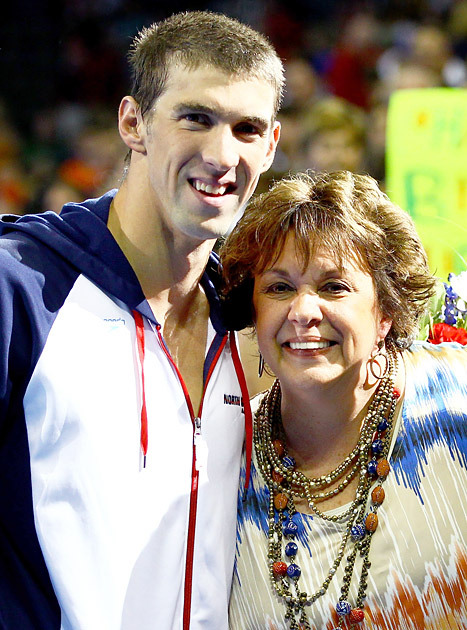 In fact, until NBC and Chico’s jumped into her life, I’m fairly certain that single mom Debbie Phelps was not outspoken during Michael’s whirlwind and very impressive teenage upbringing through the swimming world. If a kid was truly on the fast track to college or professional sports greatness, we all just knew. I still see this today, now in the young athletes and families I treat. In these cases, it is often the self-driven inspiration of the child or teen himself, perhaps the influence of a fascinating coach, or possibly a natural, innate talent that drives a kid to excel at a sport at an early age. Despite whichever belief or reason for sports participation or specialization at any age, statistics and genetics do not work in any athlete’s favor. My college statistics professor, not at all a medical specialist, would easily tell you that injuries will always increase with increased participation in sport. Statistics would also tell us that some people are just going to be more genetically predisposed to injury than others. This will happen regardless of whether a kid is pushed by a parent to be the next Missy Franklin, or if the kid simply just loves the sport like I did. 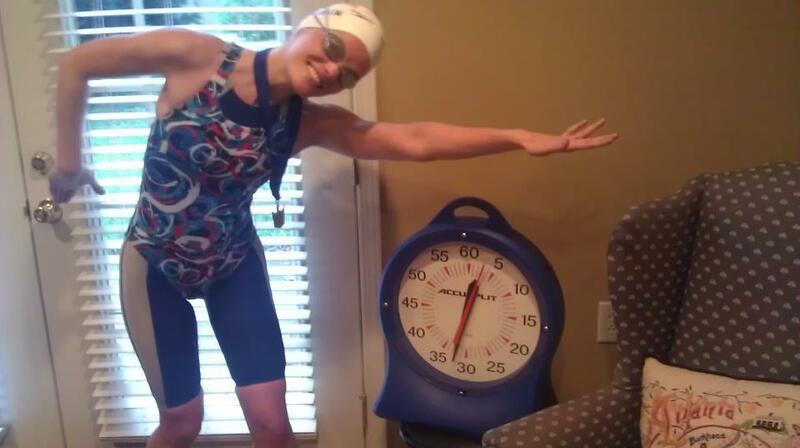 That’s me again, dressing up as Missy Franklin at age 28. I still love the sport even though I am “retired.” I can promise you my parents did not pressure me to wear this outfit. A recent feature series in a San Francisco newspaper highlighted this very issue. Sometimes, though, most of us cannot see the simple reality that increased sport participation inevitably leads to increased injuries. 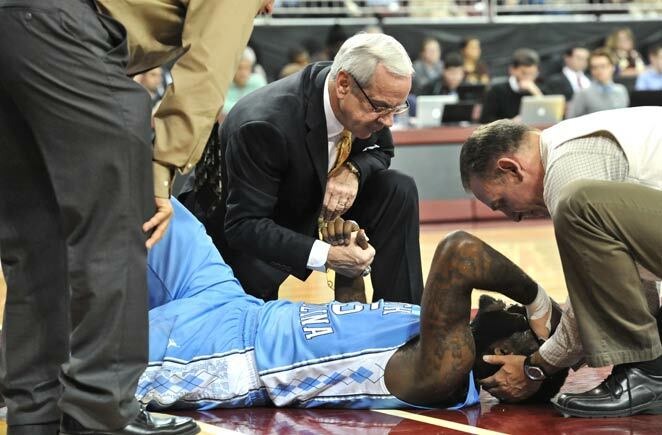 It can be devastating when any person gets hurt, whether he or she is an athlete or not. Parents become enraged and kids become depressed. Kids often drop out of their sports or become more injured because at that point, their hearts just aren’t in it anymore. Recent studies have shown that even uninjured collegiate athletes suffer from depression. [iii] [iv] [v] [vi] We need professionals to help them all along the way. Enter the specialty field of pediatric and adolescent orthopaedics and sports medicine. This is a growing niche that includes specialists in all different fields, including physicians, physical therapists, occupational therapists, speech therapists, mental health professionals, nurse practitioners and nurses, physician assistants, athletic trainers, strength and conditioning coaches, and dieticians. Each has advanced training not only in sports medicine and orthopaedics, but also in pediatrics. We treat young athletes from elementary school age through young adulthood. Most importantly, access to these specialists is becoming easier all over the country and the world. In addition to private practice clinicians like me, there are numerous specialty programs all over the country in places like Atlanta, Boston, Cincinnati, Los Angeles, Miami, Philadelphia, and Seattle, to name a few. Some programs are even offering telemedicine options to reach kids in rural areas who may not have access to a specialist. I love this field. Being yelled at in a corner by a stressed out family member typically does not make me flinch. Sure, it can be frustrating to me in the moment when I have to deliver the news of “No football for 6 weeks” and the parent or child fails to see that this news is for the betterment of the child’s health. But it’s so rewarding when I can help that same child get back to their sport safely, better than they were before, and bring comfort to a worried parent. These rewards have come in the form of hand-drawn thank you cards, art projects, homemade cookies, and the satisfaction of knowing that perhaps, that kid just might not turn into a physically or mentally injured adult. That last part is what makes all the late night tweeting worth it. I believe that with the right passion and training, we can play our cards right and be an integral part in paving the way for a young athlete’s success story—whatever that successful outcome is. 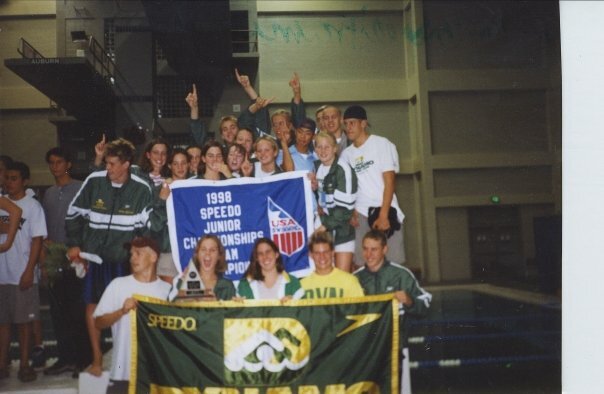 With the Dynamo National Team winning Speedo Junior Nationals at age 14 in Auburn, Alabama. This is pediatric & adolescent sports medicine. All of us in this field are in it together, advocating all for same mission: to give kids a better experience in becoming more active and competitive. To get kids back in the game. To help them become healthy adults. The list of inspirational mission statements goes on and on. One of my favorite resources in this field is this consortium formed by several key sports medicine organizations and professions, advocating together to achieve our individual and team mission statements. We recognize that despite the reason for kids’ sports participation, the reality is that we all must push kids to be active and healthy. It’s much better than the alternative, and we all have heard about the consequences of unhealthy lifestyles in kids. With this push for activity comes the responsibility of keeping kids healthy, and we must work together as a team to educate all of you on just how to do that. The purpose of this blog is to raise public and professional awareness to this specialty field, and serve as a resource for management, prevention, and referral for youth orthopaedic & sport-related injuries. I will cover key issues related to this field, welcome guest writers, and hopefully help spread the love on this issue for which I am so passionate. [i] Myer GD, Kushner AM, Faigenbaum AD, Kiefer AK et al. 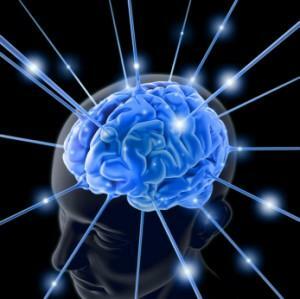 Training the developing brain, part I: cognitive developmental considerations for training youth. Current Sports Medicine Reports. 2013; 12 (5): 304-310. [ii] Myer GD, Lloyd RS, Brent JL, Faigenbaum AD. How young is “too young” to start training? ACSM’s Health and Fitness Journal. 2013; 17(5): 14-23. [iii] Wojtys E. Sports specialization vs. diversification. Sports Health: A Multidisciplinary Approach. 2013; 5: 212-213. 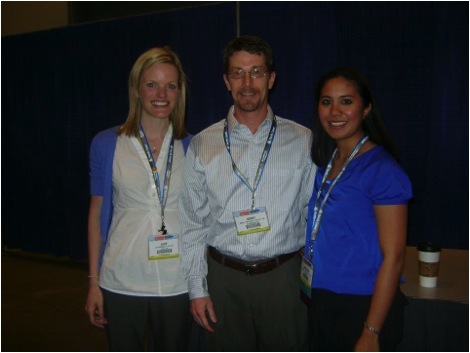 [iv] Jayanthi N, Pinkham C, Dugas L, Patrick B, LaBella C. Sports specialization in young athletes: evidence-based recommendations. Sports Health. 2013;5(3):251-257. [v] Weigand S, Cohen J, Merenstein D. Susceptibility for depression in current and retired student athletes. Sports Health. 2013;5(3):263-266. [vi] Yang J, Peek-Asa C, Corlette J, Cheng G, Foster D, Albright J. Prevalence of and risk factors associated with symptoms of depression in competitive collegiate student athletes. Clin J Sport Med. 2007;17(6):481-487. I entered physical therapy school at Emory, inspired to learn and give back to patients just as my previous therapists and mentors had done for me. Following graduation from physical therapy school, I began working in a hospital-based outpatient pediatric and adolescent sports medicine clinic. What could be better? I treated young athletes who were healthy, vibrant and motivated to get back to their sports. I saw athletes from every sport you can dream of: from Irish dance to fencing; competitive kayaking to synchronized swimming. I often marveled at the fortune of knowing every patient in the room was under age 21. 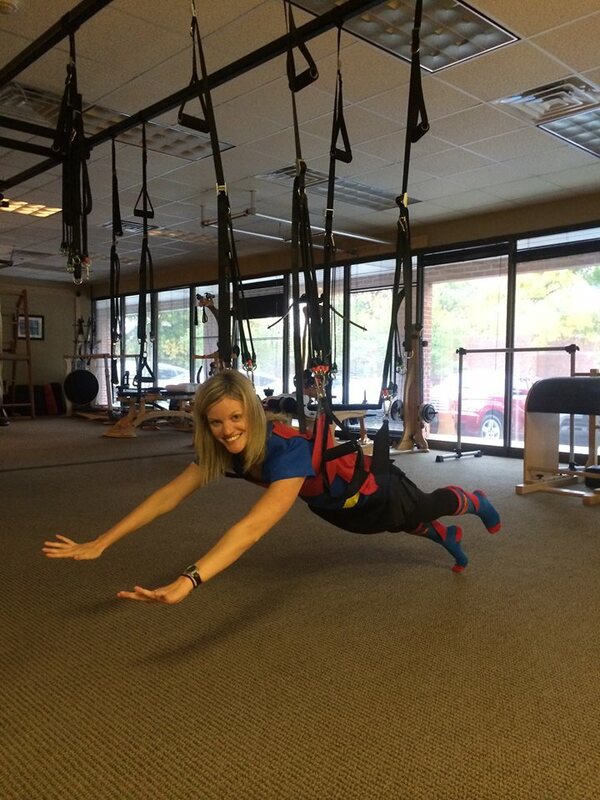 As specialists, we always made sure therapy was kid-friendly, fun and sport-specific. The kids were motivated, we were motivated, and we knew we were doing a good thing. 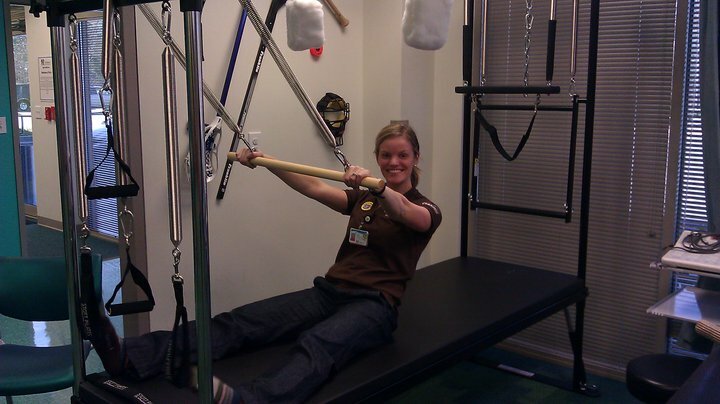 Working at Children’s Healthcare of Atlanta in the Sports Medicine Program, I blended my Pilates teacher training with sports-specific rehabilitation. And sometimes, I got yelled at by parents. (1) My favorite response to receiving the all-star eye roll from a 13-year-old girl: “So, when you roll your eyes like that, is it because you’re really dizzy or something? I’m just wondering because you’re doing it a lot and I’m concerned for your health.” She never rolled her eyes again. (2) Show up late to therapy because you were giving your mom a hard time? You owe me a pushup for each minute you’re late.Try it! They’ll show up early and ask you to do pushups for each minute they were early! (3) Don’t do your home exercises because the dog ate your theraband? Wall sits for 10 minutes. The next time they come they’ll tell you about how they magically found the theraband under their bed. It’s interesting to hear about the struggles each teen and family member face: from middle school dance to studying pre-algebra; prom dress shopping and recruiting for college sports. It’s a small glimpse into a life that many could classify as far from reality. But to them, it’s their reality. We have to recognize and respect that. I’ve probably learned more about how to Tweet, use Apple products, Snapchat, braid my hair, paint my nails, wear leggings and Uggs, and dream of the Elf on the Shelf from my young patients than I could ever imagine learning through my own life experiences. Prom dresses are now preferably short and Instagram likes are the new marker of 7th grade popularity. Let’s be honest, I specialize in this field simply so I can keep up with current events. As an undergraduate psychology major with a special focus in developmental psychology, the pediatric and adolescent age group has always fascinated me. It’s interesting how quickly changes occur in this cohort, and how we can capitalize on developmental processes to create positive outcomes. We can literally help pave the way toward a successful adulthood, including positive physical and mental health. I want my young patients to avoid becoming the adult with chronic sports-related injuries, like me. Despite my love for this setting, I eventually moved out of the pediatric hospital setting and into private practice. This allowed me raise the bar on exercising my passions and work alongside some of my most valued mentors. Given that I no longer worked for an exclusively pediatric clinic, I inherited some adult patients too. “Grown-ups,” if you will. Prior to starting my current job, I recall having nightmares about this unchartered territory. How on earth was I to work with grown-ups? I was barely one myself! Eventually, I noticed that I could really treat grown-ups the same way I treat kids and teenagers. In my book, most grown-ups are just big kids. 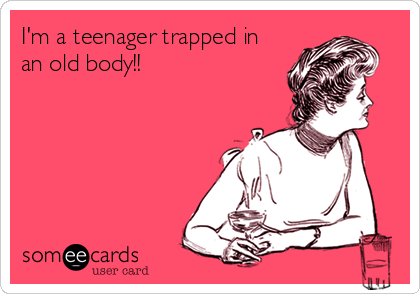 Grown-ups will tell you they don’t generally recall magically becoming adult-like at age 18 or age 21. People in pain are stressed, regardless of age. They have stressed family members, too. And yes, sometimes those family members just may back you into a corner and yell at you. Grown-ups are motivated and many are athletic, just like kids. Sometimes, they tell me the dog ate their theraband. They show up late too, and sometimes it’s still because they were giving their moms a hard time. Interestingly, an anecdotal trial over several months showed me that most grown-ups still love receiving stickers and prizes for good behavior or good work. My colleague Kate has also figured out that some grown-ups also like hugging a teddy bear when receiving uncomfortable manual therapy treatments. It was comforting to see my new practice this way and my nightmares decreased, but I felt like I was out on an island. I encountered professional conversations with adult specialists about how treating kids can’t be very different than treating adults. I believe that while adults can often be classified as big kids and often respond to similar treatment strategies I use on younger patients, the adage doesn’t necessarily work in reverse. Say it with me folks: Kids and teens are not just small adults. Now repeat that 100 or 1000—or however many times it takes until it sinks in. Kids’ and teens’ brains and bodies are literally wired and built differently. They have different physiologies and priorities. Still not convinced? This excellent editorial sums it up quite nicely. That’s not to say kids’ priorities are any less important. It takes a savvy mind to recognize that kids’ issues aren’t any less important to the kid than issues that an adult may consider more realistic. Yes, kids live in a different world and on a different planet. They aren’t supposed to see the world the way we do. I’ve been told “Oh, it’s a kid, they are so easy to treat because they are so healthy and don’t have chronic problems. Their issues just aren’t as big.” Every statement in that phrase is generally true, minus the word easy. Both groups bring their own unique challenges. 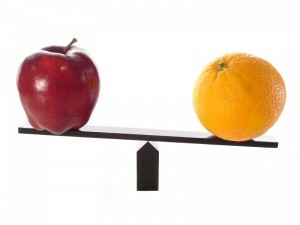 They are very different animals–apples and oranges, if you will. Sometimes I just want to say “Try spending an hour with someone who only speaks in a language of tweets, facebook walls, OMG, selfies, besties, next weekend’s school dance, the trip to summer camp, and the PSAT.” You think that’s easy? Think again. With treating kids comes the responsibility of maintaining an influence as a positive role model, but also doing your homework (every day) to stay on their level. And let me tell you—my young patients think I am sooooo cool as a grown-up because I have a Twitter account. Score! In addition to treating kids for who they are, I also often face the question of which specialist a kid or teen should see. Parents and colleagues may ask “What does it matter if the child sees a pediatric specialist?” or “Should I take them to an adult specialist instead of a pediatric one? That specialist works with professional athletes, therefore he/she must be better.” That’s the same logic as going to see a veterinarian for your bronchitis. Per the astute philosopher Cosmo Kramer, veterinarians must be better because they have to be able to cure a lizard, a chicken, a pig and a frog all in the same day! Because it is an adult specialist, does that make him or her a better clinician for your child? Unlikely. Medical specialists come in all shapes and sizes and have all different types of training. 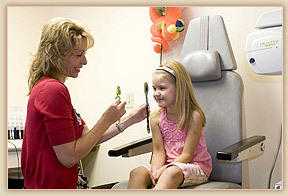 Pediatric-trained specialists understand the unique needs of the child & adolescent body and mind. What’s most important is matching a child with the clinician who can best suit his or her needs given training and experience. And most importantly, pediatric specialists can tolerate the continuous all-star eye roll and keep up with the latest and greatest about One Direction and Instagram. But it’s not all fun and games. They can usually come up with every kid-friendly term and metaphor in the book to explain scary and complicated medical concepts to their patients. And guess what—those kid-friendly terms and metaphors work great for grown-ups, too. During the first year of my career, I stood in a corner while being yelled at by an angry father who wanted to know when his injured child was going to play baseball again. Despite the steam rising from my reddening cheeks, I calmly reassured this parent. Beneath the anger, he was undoubtedly stressed about his kid’s health and sport. I told him that his child was in good hands and we were working to get him back in the game as quickly as possible. It wasn’t until later that my colleague Jill gave me a high five for my Oscar-winning performance. Only she could tell that beneath my calm demeanor, I was panicked that this father was going to fire little old me, the new graduate who couldn’t possibly know anything about baseball. It’s during these moments–and believe me, I’ve had more than my fair share–that I reflect on my own injury history as a competitive swimmer. 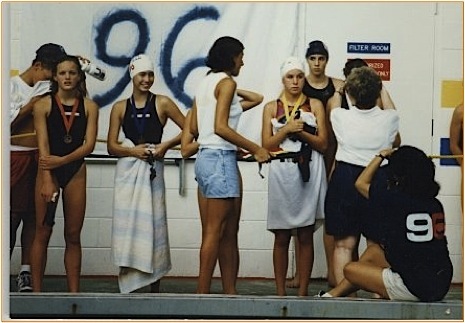 It began early in my teenage years and continued into college swimming and adulthood with even more problems. Each injury or problem has brought stress, doubt, anger, grief and frustration. It’s hard enough to be a patient going through it and miss out on what you love. Add on a parent or loved one, and that multiplies the challenge. Every athlete faces disappointment at some point. Being injured can be more disappointing than not winning. 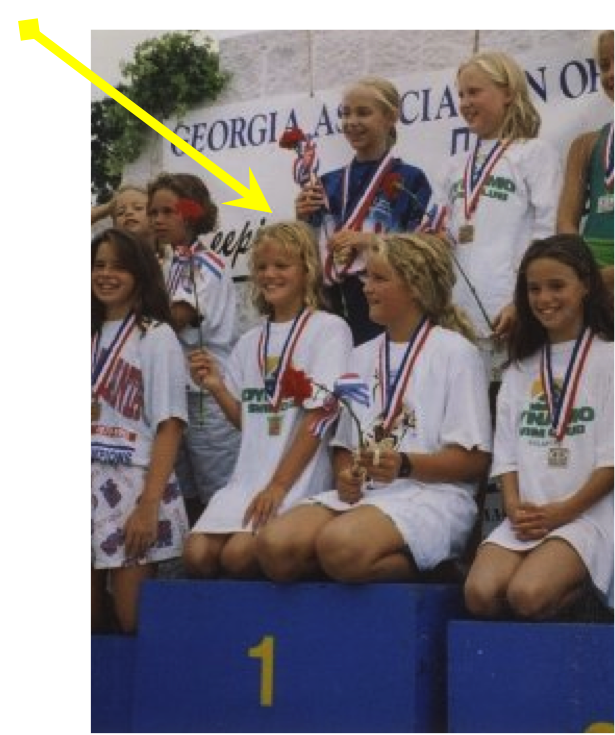 That’s me on the left at age 12 getting 7th place in a race. This is the stuff that drives me. Yell at me? No problem! I’ll take it with grace and a smile on my face. In the end, I may “win” this battle, but the good news is, we all are winners at that point. Parents aren’t the only ones who challenge the method to my madness on a daily basis. I often hear phrases from colleagues like “I could never work with kids. They’re so hard to understand,” or “It’s not the kids, it’s the parents who are the tough part-you get two patients for the price of one!” or “How do you even know how to talk to kids?” Ok, I’ll admit it. It’s no cakewalk. To me, the thrill of the challenge behind the success in working with kids far outweighs the frustration of juggling each child, teen or family member’s individualized needs. The story of how I ended up in this field may be compelling to nobody but me, although my colleague Dan Dale decided to publish this article about it in APTA Perspectives magazine, May 2013 issue. 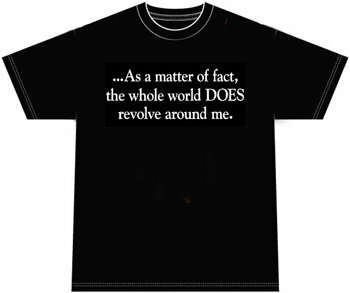 I like to believe that in retrospect, it makes sense that I’m as inspired as I am. But I’m not on TV and I don’t have a pet monkey with cymbals to get your attention so I’ll resort to the next best thing: a blog! My parents will tell you that I was the kid who craved the toy doctor kit. I told everyone I was going to be a doctor. I had the healthiest stuffed animals in the world because they had their blood pressure taken regularly. Usually I don’t back down from my goals, and even at age 5, I like to think I foresaw the future. I am now a Doctor of Physical Therapy (DPT). Dr. Julie for short. I am a sports physical therapist with a special interest in pediatric and adolescent orthopaedics and sports medicine. Looking back on my PT “upbringing,” it’s a little ironic to see where I am given my first exposure to the practice was a juxtaposition with how I work these days. I first experienced PT at age 15 when I injured my back during swim drylands while landing the perfect 3-foot vertical box jump. Sticking a landing on a feat like this is admirable if you’re aiming for Olympic gymnastics. However, I’m not sure it’s the most functional exercise for swimmers whose only jumping involves a headfirst leap off a platform into water. My perfect-10 performance did not get me to the Olympics, but it did earn me a ticket to the neighborhood PT clinic. It was there that I recall always being put into a quiet room where some teenager rubbed gel on my back with a warm metal probe. Then I laid on the table and did a bunch of exercises while nobody watched. Then the same teenager came in and strapped electrodes to my back and made me lay with them on an ice pack for 20 minutes. I’m pretty sure that teenager was my classmate in Spanish class. At the time, that was PT to me. I didn’t know any different. Looking back, I kind of wish my own angry parent would have backed my nonexistent PT into a corner and yelled at him. Or perhaps it was a her. Honestly, I can’t remember. That’s how great of an impression he or she left on me. To add insult to injury, that back pain never really went away. Then there was the shoulder surgery, months of PT, and decision to end my swimming career at Duke University. 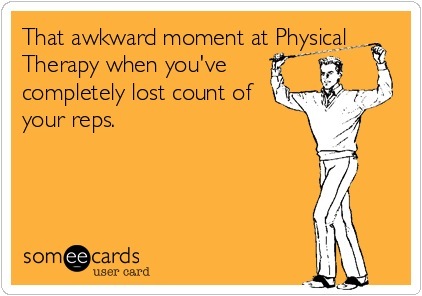 During and after graduate school, I had more PT for continued shoulder pain, back pain, and all the other “pains” that came along with being a busy professional student-turned-professional clinician. And yes, you guessed it, I’m still in PT. One would think that at some point I’d get sick of it. But I just figured I’m already there, I might as well get paid to do it. This is Blair: my therapist, mentor, friend, colleague and boss. She continues to inspire me to be a better therapist, and most importantly, a better nerd. 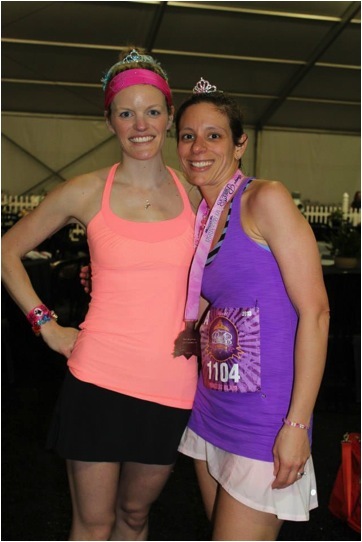 She even inspired me to dress up like this, get up at 3 AM and cheer her on as she ran a half marathon. Now that’s influence, folks. 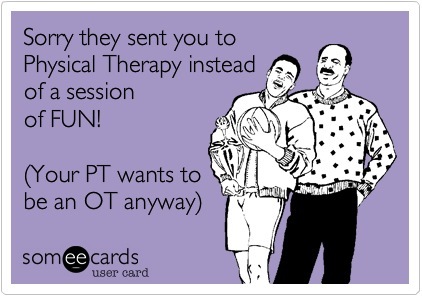 Somewhere along the way, through all of my own PT and PT education, I realized what real PT is. I learned that being a rock star physical therapist involves taking the same drive that I put into my own life and applying it to patient care. It’s striving to be at the top of the profession, exercising an insatiable curiosity for the “why” behind the things we do. I only wish I’d known at 15 what I know now. 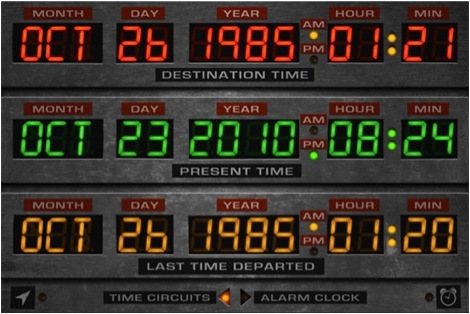 Where is my flux capacitor when I need it? Real PT includes teaching, learning, coaching, mentoring, cheerleading, researching, parenting, teamworking, being totally hands-on, and making a few friends along the way. What it’s not is putting a kid into a room to be isolated away from other kids and patients, to perform nonspecific exercises, have contraindicated modalities performed by an unlicensed professional, and be totally unsupervised by a licensed physical therapist. That, in my book, is not noteworthy. Since age 15, I have fortunately had a few notable therapists and mentors along the way who set the record straight for me on what this whole PT thing is about. I have been fortunate to transition from student, mentee and patient to now working alongside them as a colleague. Along the way each of them instilled in me a small sense of “I want to be just like them when I grow up!” And despite the frustrations of injury after injury, their influence has inspired me to give back to athletes just like myself. At the 2013 APTA Combined Sections Meeting, I ran into my friend Rosie and former physical therapist from Duke, Kerry. Turns out we all passed our board certification in sports physical therapy at the same time. Full circle.